'Sesame Street' Partners With Autism Speaks: Why Are Autistic People Upset? The first thing you need to do isn't find therapists. It isn't commiserate with other parents. It isn't become an AAC expert (though all of these things have their place!). It's something not in the autism introduction packet: you need to connect on a human level with adults like your child. You need to go make some Autistic friends. I agree with all of K's reasons too -- autistic people are awesome to hang with, loyal friends who care deeply about their friends. 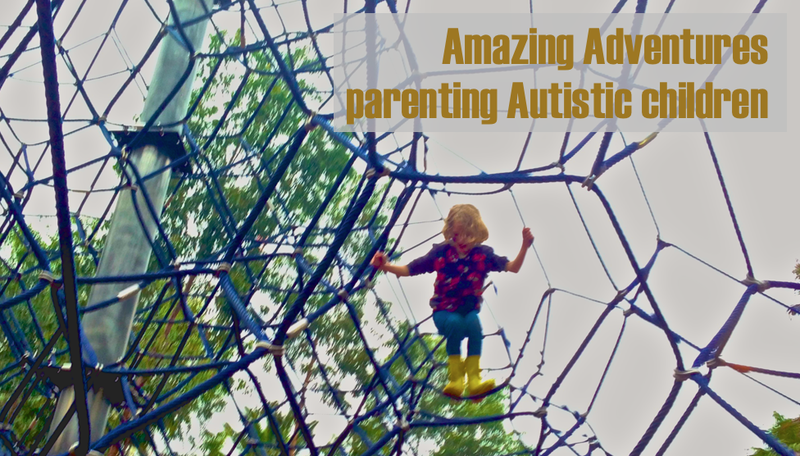 My kids benefit from me being tapped in to autistic culture, and will more easily have access to role models themselves if I have autistic friends. If I don't introduce my children to autistic adults, how will they meet others like them? But don't just take my word for it, read what K says for yourself,here. Because I value the voices of autistic people as a way of supporting my children as they navigate life in a world not made for them, when I hear my autistic friends say they are upset about something I want to know why. Recently, my friends have been telling me they are upset about the partnership between Autism Speaks and Sesame Street to promote acceptance of autism as a form of diversity. Sesame Street is really good at promoting diversity. The reason my friends are upset is not that Sesame Street wants to focus on autism -- it is that Autism Speaks is involved. And I think they have a point. I have written previously about Autism Speaks here and here. 3. they convince people to donate to them by sending out a message that Autism is a tragedy, burden and disaster that ruins entire families lives, and that Autistic people and their families are constantly suffering and barely living. I, for one, do not want an organization that aims to get rid of my kids neurologies helping with a project that is designed to promote acceptance of autism. My friends don't want Autism Speaks speaking on their behalf in this way either. They are justifiably upset. And they are speaking up for themselves to let people know they are upset. Sesame Street, this is an Autistic speaking. Don't partner with an organization that silences us. We are proud of who we are and we want all kids to feel this way. I am an autistic parent to an autistic child. I grew up watching [Sesame Street], and my son has too. I encourage you to end any partnership with Autism Speaks if you wish to truly celebrate diversity. I would be THRILLED to see autism portrayed on your show, but not when the message is one of despair and fear. Or one that would pretend that disability is shameful. In developing this project, please remember that autism is not something we do to our families, or our communities or anyone else. Autism is how my brain works and interprets the world around me. Our stories deserve to be told with US doing the telling. Not with someone else speaking for us. Again. Please don't allow a group like Autism Speaks continue to dominate the conversations about autism. They do us harm. You do us harm when you partner with a hate group who wants to prevent people like my son and I from existing and spreads harmful and dehumanizing rhetoric about us. There are others speaking up too. Not just autistic people, but parents of autistic people and friends of autistic people. There is a whole movement dedicated to addressing this problem. If this is an issue you would like to help do something about you can find more information at Boycott Autism Speaks Facebook Page. On Twitter check out hashtags #BoycottAutismSpeaks and #EducateSesame You can also sign a petition to Sesame Street here.